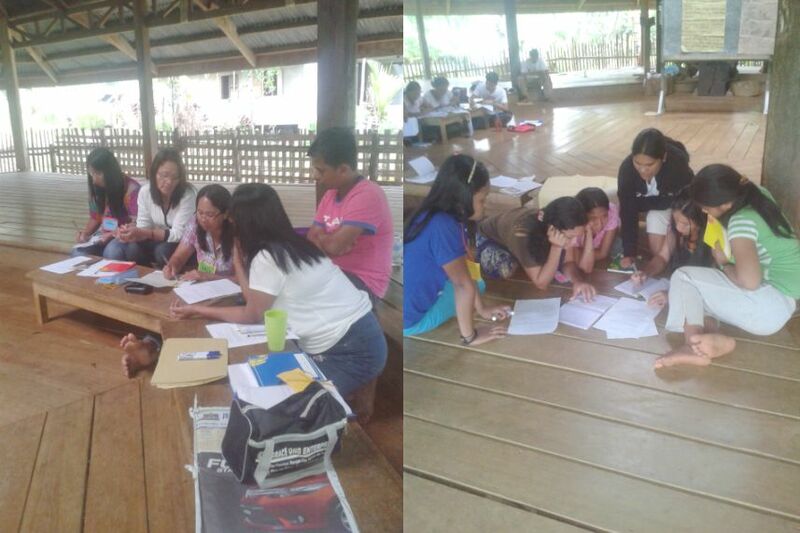 On 29 April to 2 May 2014, APC teachers facilitated a workshop on culture-based education for 7 Manobo teachers from PASAKK of Agusan del Sur and 5 Umajamnen teachers from FLLMS of Cabanglasan, Bukidnon. Both PASAKK (Panaghiusa Alang sa Kaugalingnan ug Kalingkawasan, Inc.) and FLLMS (Fr. 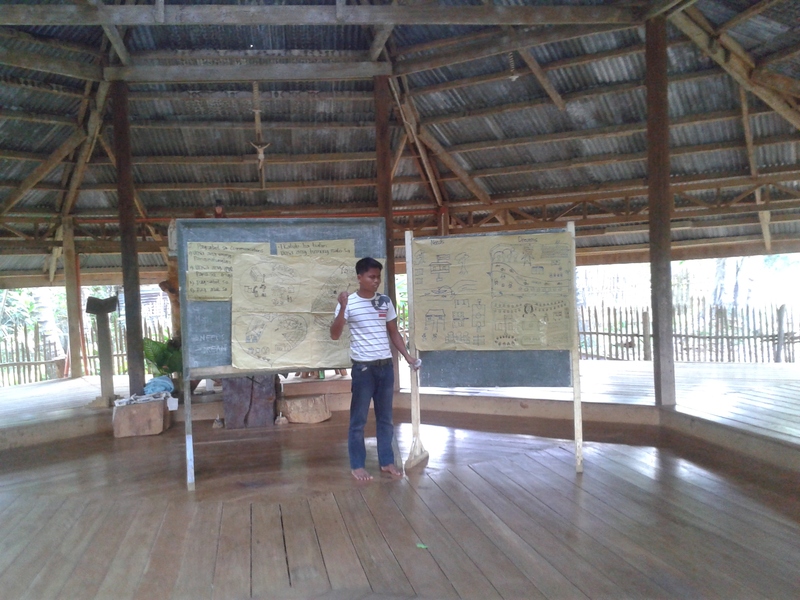 Leoni Lumad Mission School) are long-time partners of APC in culture-based education projects. This workshop follows the same flow and approach as the teachers’ summer workshop, but this time, it was the APC teachers themselves who facilitated the reflection sessions on culture-based education and conducted the lesson demos. Different APC teachers conducted lesson demos in Kinder and Grade 1 Language, and in Filipino, Math, Science, and Social Studies. 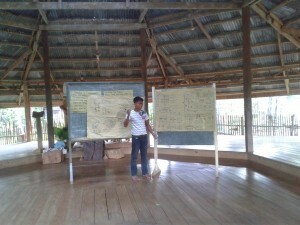 Each demo was followed by a discussion of how culture was integrated in this lesson. 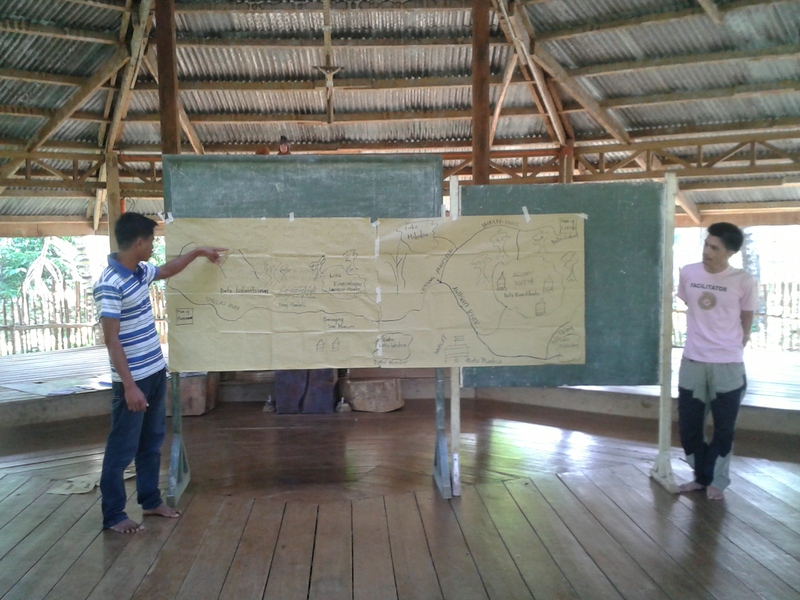 The purpose of the lesson demos was to show participants how to integrate local life and culture in each subject, and how to teach a class in a way that will truly advance the thinking and learning of indigenous children. PASAKK teachers said their purpose for coming to Bendum was fulfilled. The workshop taught them about the APC curriculum and brought clarity to their thinking about how to make their curriculum truly culture-based. FLLMS teachers, on the other hand, said they learned more than they expected to and APC’s Kinder curriculum would be helpful in guiding them develop their own Preschool program. For APC, this has been a great opportunity for its teachers to learn about and develop confidence in conducting training workshops for other organizations.